The more you work with your intuition, the more you strengthen it, and the more it grows. In time, you’ll know exactly what your intuition is telling you, and you’ll know that you can trust it implicitly. In developing your intuition, you want to make it fun, like a game – not like an assignment or something that could be right or wrong. 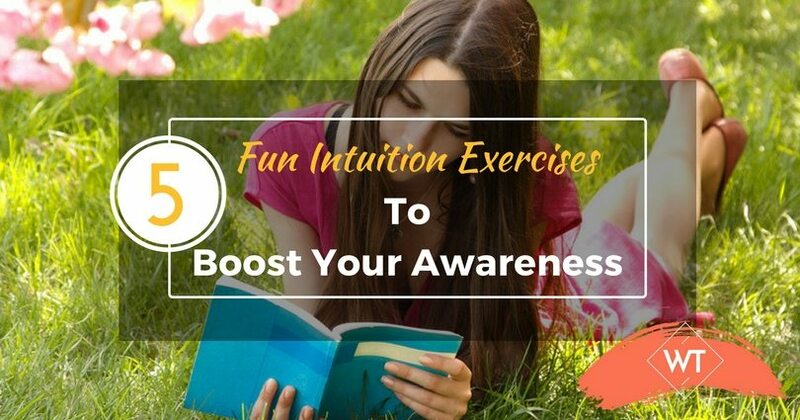 Intuition exercises can be fun and in turn help you boost your awareness. Intuition works in mysterious ways, and sometimes you won’t see that it is guiding you down the highest path until years later. That’s why you need to just learn to trust, and let go. Many people walk around completely unaware of what’s really going on around them. Things happen, and they don’t even notice. Their intuition gives them subtle signs and messages, and they just float on by, unrecognized. The more you notice everything – from the color and fabric of someone’s dress, to the sound of the grass blowing in the breeze – the more aware you will become of the truth. Intuition requires presence. Practice being aware in the present moment, and tune out all thoughts, other than the realization of how things look, sound, smell, and feel around you. Remember to make this fun! Start your morning by guessing what kind of mood your boss or co-workers will be in. Or, let your intuition tell you (through pictures in your mind, thoughts in your head, or a feeling in the pit of your stomach) how your spouse or children will be acting at the end of the day. Do this as though you’re playing a game, and check in to see what happens. Take notes, too – this lends an air of credibility to what you are doing and reinforces your commitment to trusting your intuition. This exercise is technically called psychometry; the art of reading the energy of objects. Rub your hands together till they get hot, and then hold someone’s keys, lipstick, lucky charm, or ring or piece of jewelry, and see what kind of sense you get about them. Remember, no right or wrong here; you’re just strengthening your muscles and activating your intuition by reading energy. Quiet your mind by meditating for 5 or 10 minutes, and then sit down with a pen and piece of paper. Think about something you’d like guidance on, then soften your hand and just allow it to write, as though it were separate from your mind. Try not to think too much, and really try to let go. The more you do this, the better you will get at it, and soon your intuition will be flowing through your hand onto paper with guidance that will astound you! Before you start your day, or when you’re looking for a solution to a problem or issue, open a book – any book you’re guided to – and turn it to a certain page, and then a certain paragraph on that page. Let that paragraph be your guidance. You can also do this with music; for example, set the intention that the next song you hear on your radio or ipod will contain the guidance you need to hear. And then pay attention! The signs will most certainly come through. 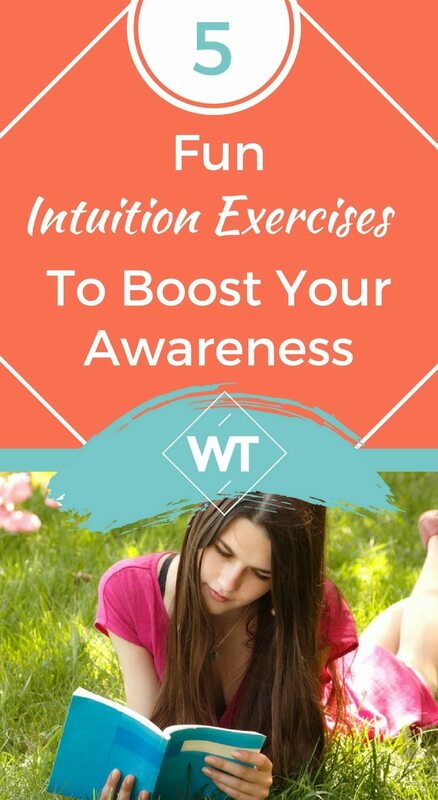 Use these intuition exercises to develop and strengthen your intuitive abilities. Your intuition is a wonderful gift you were born with, and it can both protect you and your loved ones, and guide you to lead the happiest, healthiest, most wonderful life. In order to rely on your intuition as easily as you rely on your sense of sight or smell, you just need to trust that you do have it, and know that you can benefit from it. Celebrate your intuition, and think of it as something truly divine and special, and it will meet you halfway and provide guidance that is nothing short of miraculous.